/ What Mic Does Ninja Use? (2019 Edition) ?? 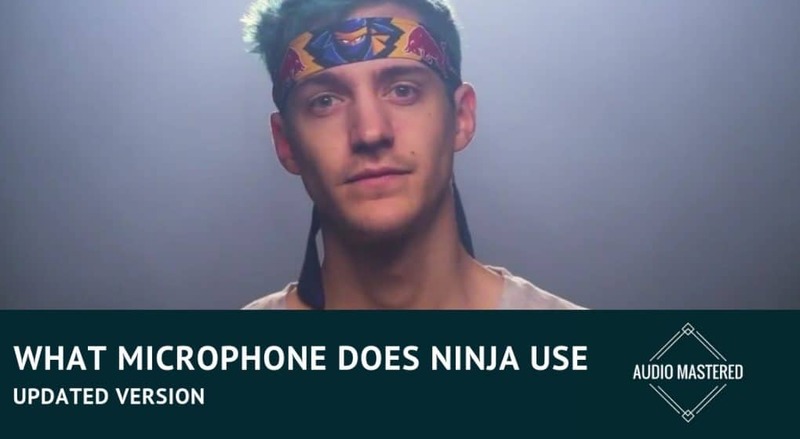 What Mic Does Ninja Use? (2019 Edition) ?? Ninja, or Richard Tyler Blevins, is the most watched streamer on Twitch. At the time of writing he has over 5 million followers and 250,000 subscriber on Twitch. He also has over 7.5 million subscribers on YouTube. Each video he releases gets an average of 2 million views and his Twitch stream has an average of 50,000 viewers. He is quickly becoming the most popular athlete in the work with more social media interactions than LeBron James, Cristiano Ronaldo and Shaquille O’Neal. Currently, he is making an average of $500,000 a month playing Fortnite. His channel experienced unprecedented growth. Between Feb. 22 and March 3, gained more than 50,000 subscribers. Richard is best known for dominating Fortnite but first came into prominence in 2009 while playing Halo professionally. In 2017, Richard decided he wanted to spend more time focusing on streaming. This new focus paid off as his viewer number shot up from 10,000 in December 2017, to 60,000 in February 2018, to approximately 200,000 in March 2018. His rise to the top hasn’t been without controversy. Some Twitch viewers speculate that his success has been the result of what’s called “boosting” where bots use fake accounts to follow streamers to increase their monthly payout. This has become even more pronounced as Twitch began giving away free Fortnite gear to Twitch Prime members. As every Amazon Prime member also gets a Twitch Prime account, Amazon members began selling their subscriptions to fans wanting the Fortnite gear. These fake accounts are speculated to have increased Ninja’s following substantially. Twitch has commented that his popularity doesn’t appear to be caused by bots. Ninja is also known for his generous donations to charity. He regularly hosts games with incentives. For examples, if anyone killed him, they were awarded $2,500. In a single event, he raised over $50,000 for Alzheimer research. So, What Mic Does He Use? Ninja is the biggest streamer in history. It’s not surprising that more and more people are wanting to use the same gear for their own streaming channels. Unlike other streamers who showcase the gear they are using, it has been difficult to track down which microphone he is currently using. However, with a little bit of digging, I’ve found out exactly what microphone he is using today! You can see both mics clearing at 00:38 in the video. Ninja doesn’t really disclose which mic he uses more often, but both microphones are incredibly popular with other streamers. Here’s a quick rundown on both of the mics. The AT2020 has the be one of the most popular condenser microphones on the market. The simplicity and professional sound quality for the price is remarkable. In fact, it happens to be one of the microphones that is recommended by Markiplier for beginner streamer setups. 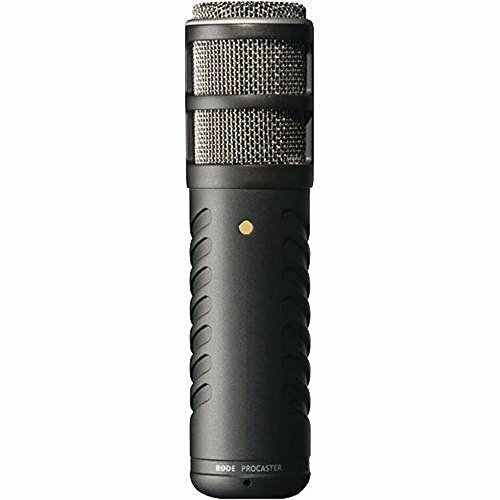 If you don’t believe me when I say it has professional sound quality, just search YouTube for a comparison between Audio-Technica condenser mics and the popular Blue Yeti. It’ll blow you away. You may notice that Ninja is using a pop filter with his setup. I highly recommend you do the same. These filters stop any annoying ‘plosive’ sounds from ruining your recording. It’s one of the small things that help your stream sound more professional. The good news is they are usually only around $5.00. There are two options when you are buying the AT 2020 – USB or XLR cable. The USB version is a more beginner-friendly microphone as you don’t have to purchase an audio interface to use it. However, the analog to digital processing is lower quality so if you’re wanting the best sound quality you should stick with the XLR. Check out some audio interfaces here. The sound quality of the AT2020 has been proven time and time again. It’s one of the safer purchases you can make without running the risk of being disappointed. Why Choose The Rode Procaster? Personally, I wouldn’t purchase the Procaster. In the end, the sound quality just isn’t there. All you have to do is watch a few comparision videos between the Procaster and other mics to see for yourself. It can be difficult to explain exactly why one condenser mic is better than the other. It usually comes down to fragile internal components and added features. One advantage the Procaster has over the AT2020 is the internal shock mount and pop filter. This helps make up a little bit of the price difference. However, if you are streaming, you are going to want to purchase a mic stand and shock mount anyway to keep the mic away from your desk. So, there isn’t really a cost savings here. 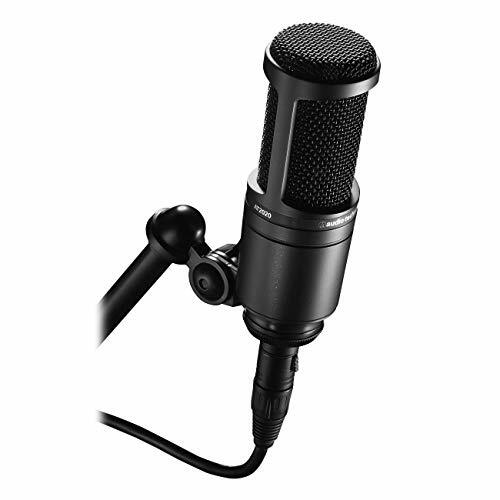 If I were a young streamer and was looking for an affordable mic I would purchase the AT2020, no questions asked. If I had a little extra money to spare I would buy the XLR version with a Focusrite Scarlett Solo interface. This will be the most professional sounding recording for the least investment. I hope this has answered your questions. If you have any other questions, or if you think I’ve made a mistake, leave them in the comment section below!